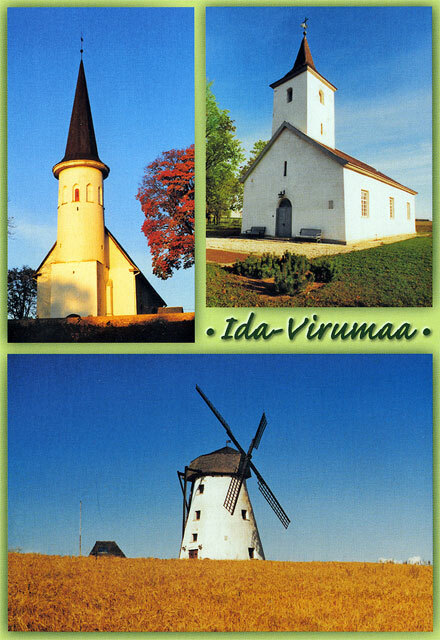 The County of Ida-Viru (area 3364 sq km, population 200,000) is so varied that you can find here all the features that are usually found over the whole of Estonia. 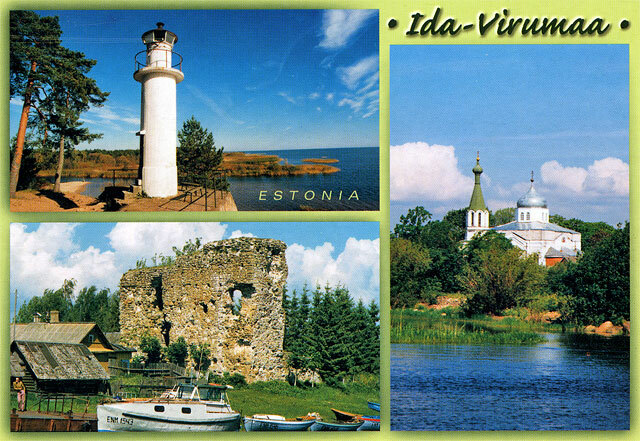 The high limestone shore of Ontika borders Ida-Viru County as a majestic wall in the North. The River Narva with its water reservoir is the Eastern border of the county. 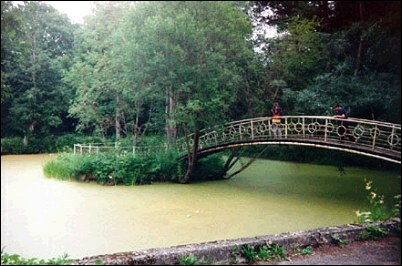 In the West the county is bordered by the dusky forests of Alutaguse. Beautiful sand dunes and pine forests on the shore of Lake Peipsi make up the southern border of the County. 1. 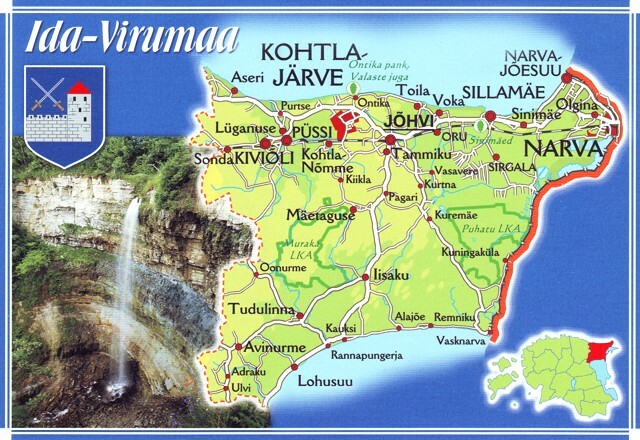 Saka-Ontika-Toila Limestone Bluff is the most important tourist sight of Ida-Viru County. 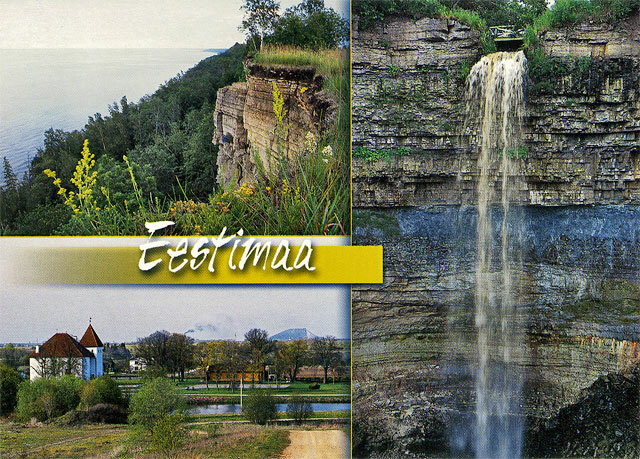 From the edge of the highest Estonian limestone terrace (up to 56 meters above the sea level) a beautiful view opens to the sea. 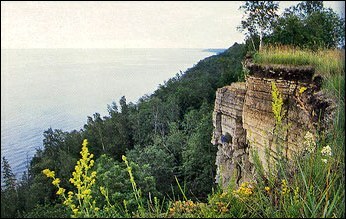 The limestone bluff is suitable for hikers and cyclists. 2. 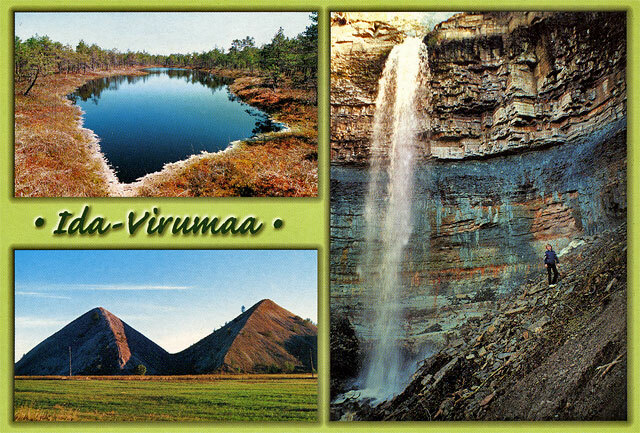 Valaste Waterfall in Ontika is the highest in Estonia - with a fall of 20m. The Waterfall was formed quite recently years ago in the course of draining works. You can observe both the Waterfall and the consequences of its activity from the observation platform. 3. 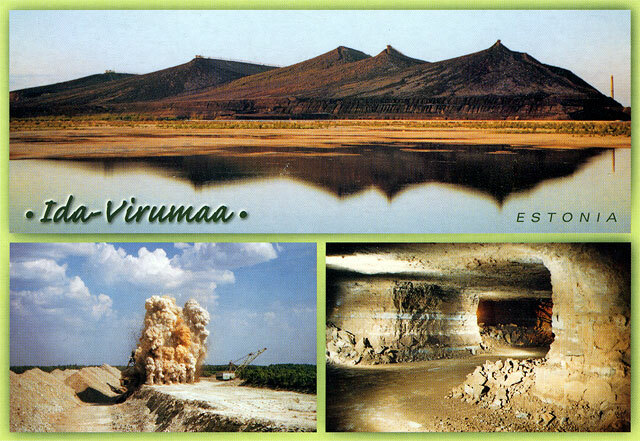 Kohtla Mining Park-Museum (situated in Kohtla-Nõmme) was opened in December 2001. The Kohtla Mine, built for the oil factories, worked from 1937-2001. There was a unique sorting complex, where the main work of enriching oil shale was done by women. In the Museum you can see the tipper "BELAZ", visit the sorting and enriching complex, buy fossils found in the layers of oil-shale and limestone and visit the limestone pit. You can practice climbing on the wall of the enrichment factory, as there is a climbing center. 4. lisaku Museum was founded in 1975. There are about 23,000 items in the museum collection, 1600 of them are on display. Exhibits are placed according to where they would be used: farmhouse including a barn, masters room, old school room, fire-fighting room, etc. There is an observation tower (28m) nearby - situated on the Hill of Tarivere. 5. 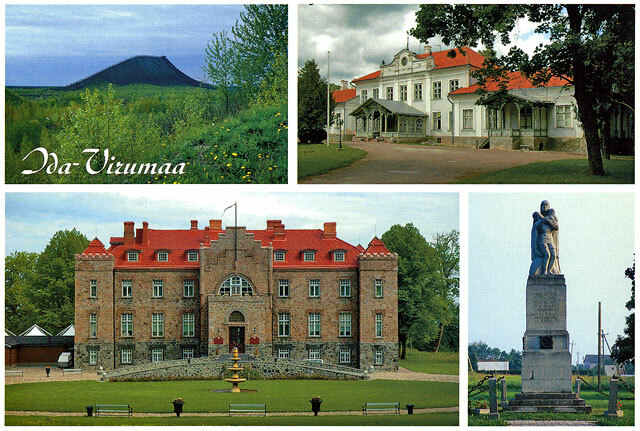 Toila-Oru Park and Castle. 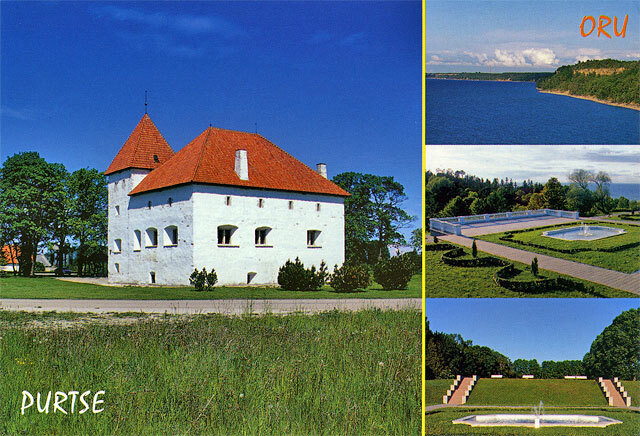 In 1897 the great Russian businessman Grigori Jelissejev bought 144 ha of land at the mouth of the River Pühajõe, with the aim of building a majestic castle. 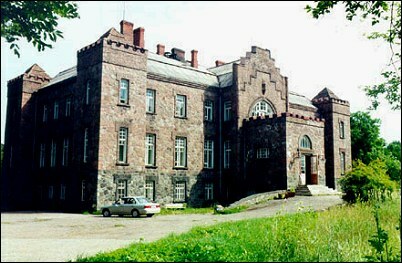 The Oru Castle was built in 1899. 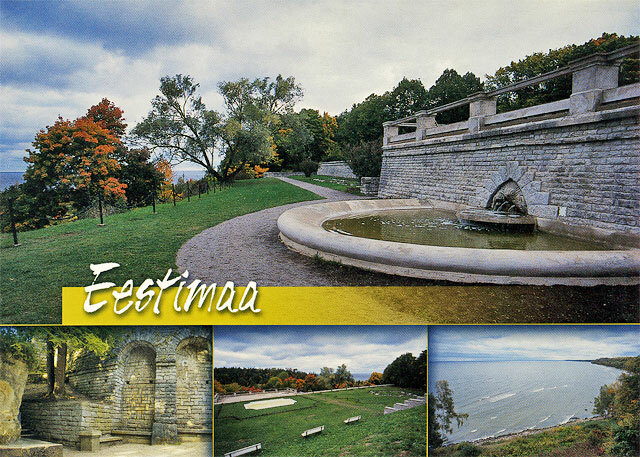 In 1934 the industrial society of Estonia bought the castle complex with the park from G. Jelissejev, paying him 100,000 kroons, and presented it as a gift for the Estonian Republic for the Summer Residence of the head of the state. 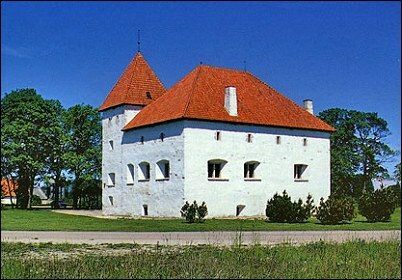 During 1935-1940 the Castle was the Summer Residence of the Estonian President Konstantin Päts. 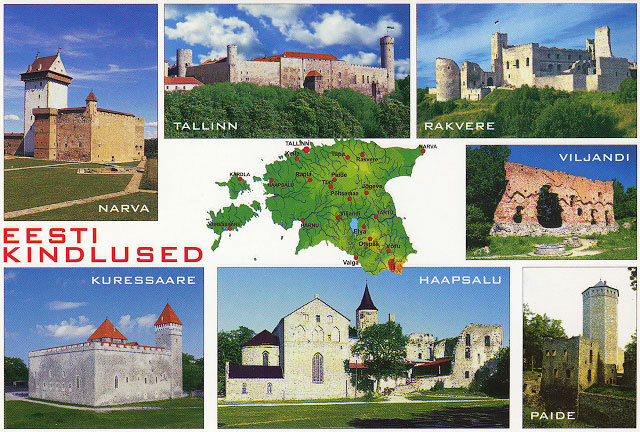 The Oru Castle was destroyed in the course of the Second World War. 6. Kotka Hiking Trail near lisaku (6km) passes through the Rüütli Bog; you can find out about the different forest ecosystems and distorted trees. Passing along the track you will also see the cutting of trees, a beautiful bog lake, the Hut of Karjuse, and "gold hole". 7. Ristikivi Bog, also called the Bog of Imatu, is a landscape with beautiful sand ridges (kriivas - in local language) separated by sections of transition bog. The hiking trail is not marked; therefore it would only be advisable to hike in the bog with a trail leader. 8. Kuremäe Convent was erected in 1892 under the supervision of Prince Sergei Shahhovskoi. 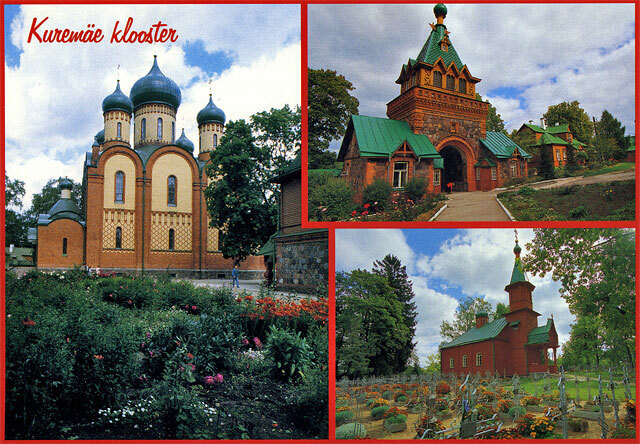 There is a beautiful Main Church and a big park with numerous accompanying buildings and gate towers in the Convent. About 100 people live in the Convent. There is an oak growing in the Convent garden with a circumference of 4.3m, it is also known as a Holy Tree among religious people. 9. Purtse Vassal House – the supposed building date is 1533-1565 and it is connected with the passing of the Purtse Manor to the Taube Nobility. During its history the Purtse Vassal House has burnt down several times and rebuilt again. Particularly hard times for the House were during the Livonian War and the North War. Currently concerts and exhibitions are held in the restored Vassal House and it is possible to hold different events there. 10. Narva Stronghold is the oldest and biggest stronghold in Estonia (built in 13-17th century) creating with the Ivangorod Stronghold on the opposite shore of the River Narva a unique architectural ensemble in Northern Europe. Three wings of the stronghold and the Tower of Tall Hermann are open to visitors. The historical interiors in the West and North wings have been restored. 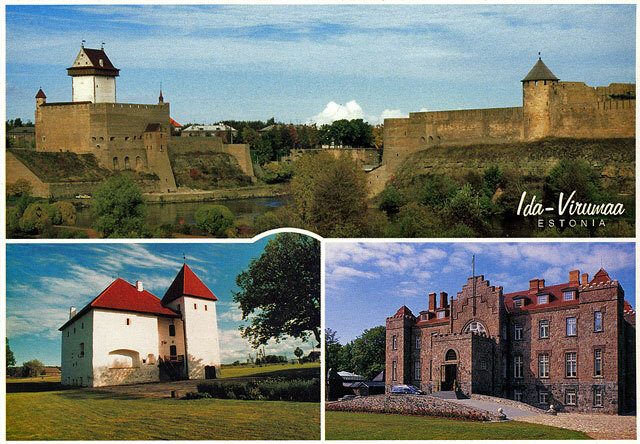 In the five halls of the stronghold the history of the town of Narva of the period from the 18th century until the beginning of the 20th century is on display: products of local craftsmen, flags of the guilds, arms, commodities, architectural details. 11. 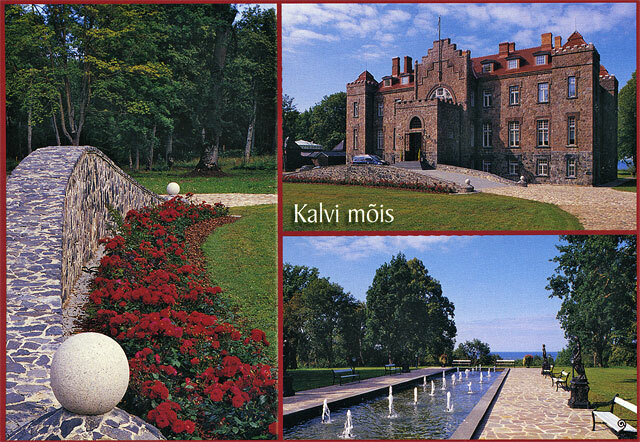 Kalvi manor house castle is located on the Bay of Finland 130km east of Tallinn, only 90km from Narva and near the village of Aseri. The history of Kalvi goes all the way back to the year 1196. 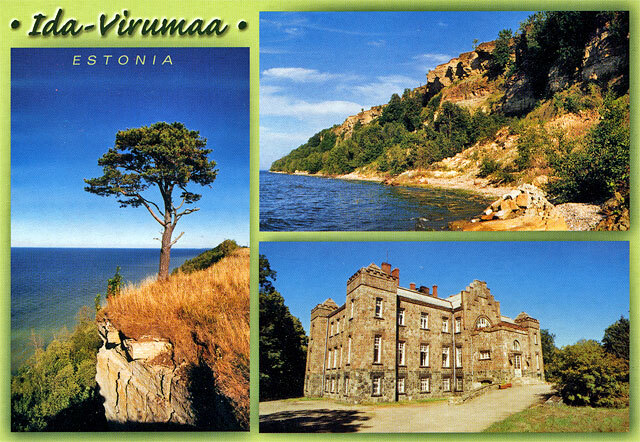 The present Kalvi manor house, which is a protected cultural and architectural monument, was built between 1908 and 1914, but the ruins of the earlier castles can still be seen as well. Currently the manor house serves as a 4-star hotel with some of the most beautiful views to be found anywhere in Estonia. The hotel, known for its atmosphere of Estonian warmth and hospitality, offers visitors good meals inside the restaurant and beautiful grounds where one might go for a leisurely stroll after a long day of touring.